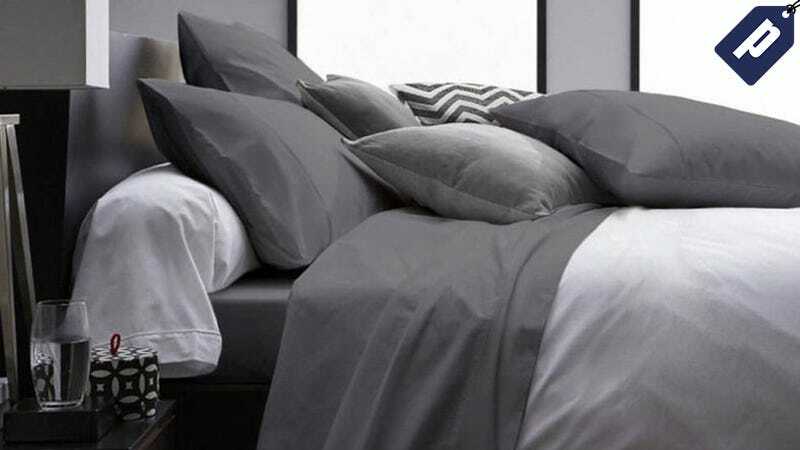 This set comes with 1 flat sheet, 1 fitted sheet, and 2 pillow cases, and comes in your choice of grey, white, or ivory. Full, Queen, and King sizes available. Grab your set for just $30, a savings of 40%.